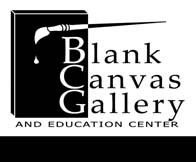 Blank Canvas Gallery and Education Center will be hosting an Open House Reception on Sunday October 14 from 1 – 3 p.m. at 311 Main Avenue South in Park Rapids, MN. This is a great opportunity to purchase holiday gifts from the large array of wall art, jewelry, wood sculpture, stained glass, pottery, books and much more. Next postR2AC Soiree to Kick Off Arts Collaboration!